The Office of Student Life (OSL) is pleased to announce the opening for an Assistant Director for Student Organizations and Club Sports. OSL is responsible for directing, advising, and supporting Housing & Residential Programs; Student Centers, Organizations, & Events; Student & Intra-Campus Mail Services; and Conferences & External Events. Click here for more information on OSL. Reporting to the Associate Director, the Assistant Director for Student Organizations & Club Sports is part of the Student Centers, Organizations, & Events team within OSL, and is responsible for the management and programming of student organizations, student businesses, and Club Sports, including advisement, supervision, and support of correlating student leaders, advisors, and coaches. Williams is committed to enriching its educational experience and its culture through the diversity of its faculty and staff. Our expectation is that the successful candidate will excel at working in a community that is broadly diverse with regard to race, ethnicity, socioeconomic status, gender, nationality, sexual orientation, and religion. In your cover letter, please highlight your experience with and commitment to supporting diverse and inclusive communities. Some of the specific responsibilities include (but are not limited to): student organization registration, training, financials, leadership advising; advising All-Campus Entertainment (ACE); facilitating & attending complex/large student events; hiring, training, and supervising coaches for all Club Sports programs; training all Club Sports leadership regarding hazing, alcohol, college policies, etc. ; overseeing the Williams Transport program; overseeing the production of the yearbook; working closely with and advising existing & proposed student businesses. The successful candidate will be highly organized, energetic, friendly, collaborative, independent & self-driven, flexible, unflappable, tech-savvy, with strong budgetary skills, strong attention to detail, and a positive collaborative spirit to work as part of a highly-developed, high-energy professional team. Position requires the ability to access almost any space on campus. Some carrying and moving of equipment and supplies. Must have stamina to work long hours, evenings, and weekends as necessary. Proficiency in Microsoft Office and Google Suite; understanding of internet for marketing and website updating (WordPress desirable); ability to quickly learn specialized software (StarRez, PeopleSoft, EMS, Conference Programmer, etc.). We especially welcome applications from members of groups traditionally underrepresented in the field. Applicants are encouraged to state in their cover letter what particular skills, strengths, and experiences they will bring to the position and the college, and to reflect on their experience with and commitment to supporting diverse, inclusive, and equitable communities. For optimal consideration, please submit resume materials by July 8, 2018. Review of resumes will continue until the position is filled. Job group 3-A. 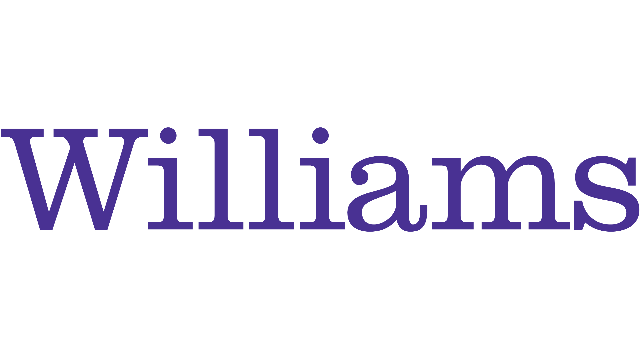 Williams College is a coeducational liberal arts institution located in the Berkshires of northwestern Massachusetts with access to Albany, Burlington (VT), Boston, New York City, and Montreal. Distinguished by a reputation for outstanding, inclusive teaching and scholarship, academic excellence, and exceptional alumni loyalty, the college is committed to building and supporting a diverse learning community of approximately 2,100 undergraduates. Beyond fully meeting its legal obligations for non-discrimination, the college is committed to building and supporting a diverse and inclusive community where members from all backgrounds can live, learn, and thrive.